What is our motivation for serving Jesus? Is it so that we might have good health and be wealthy? Galatians 1 tells us that the wealth or health prosperity gospel is no gospel at all! 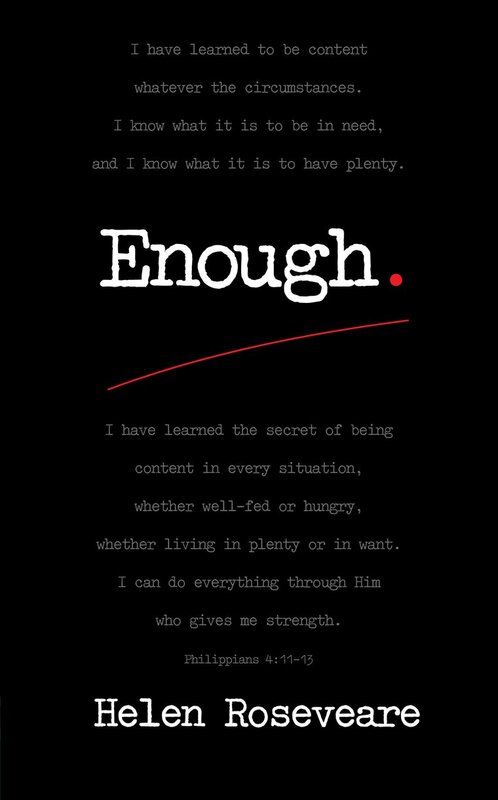 However what we can find is fullness in Christ and in him we find that indeed God is enough for us! This easy to read book addresses key themes that span global cultures. Countering the view that material abundance is the sign of God's blessing and that poverty is a sign of God's curse; to distinguish between temporary, earthly benefits and eternal, spiritual ones. Teaching and applying that satisfaction/contentment/joy is found in no earthly possession, achievement or position, outside of God; the fullness of Christ for every believer. Having developed the previous thoughts, this final area looks at whom we serve and not what we receive as a motivation and drive for what we do for Him. This not just a book for the West or the Global South but for all! 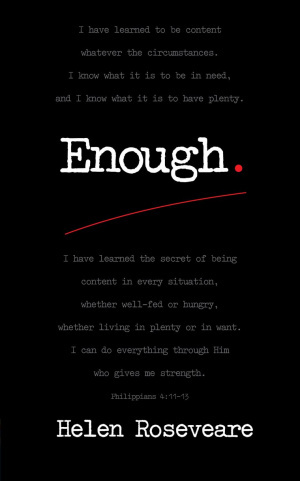 Enough by Helen Roseveare was published by Christian Focus Publications in August 2011 and is our 12755th best seller. The ISBN for Enough is 9781845507510. Be the first to review Enough! Got a question? No problem! Just click here to ask us about Enough.